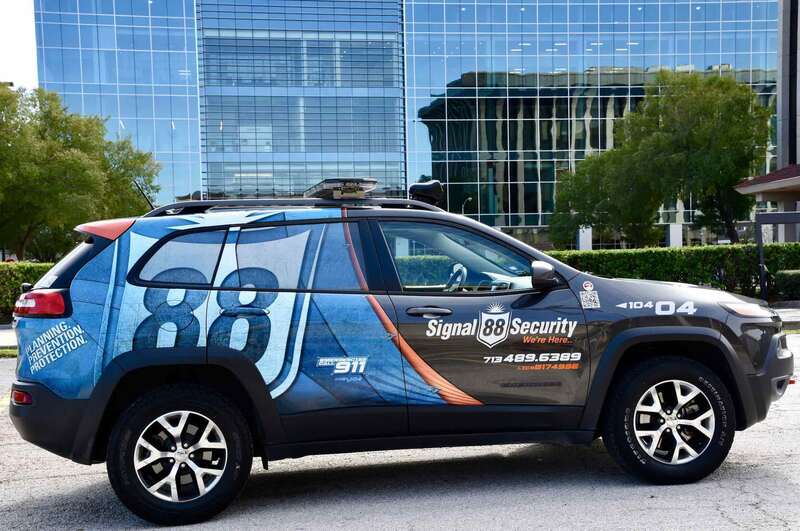 The unequaled size of Signal 88’s fleet and unique Mobile Patrol model allow officers to quickly cover the entire community, deterring and proactively searching for suspicious activity. For clients seeking around-the-clock security without the expense of an overnight dedicated guard, Signal 88 can partner with your existing provider to offer industry-leading Alarm Response service. Let’s take a look at how this innovative solution can work for you. It’s 9:45 pm, and the after-hours cleaning crew has inadvertently left the south warehouse door ajar, creating an opportunity for intruders to access the building. The alarm monitoring system sends an alert to Signal 88’s 24/7 Central Dispatch, where dedicated personnel are on call through the night at our corporate office in Omaha, Nebraska. Dispatchers relay the information to the Signal 88 patrol officer nearest the alarm, who arrives on-site in a fully-marked patrol vehicle, equipped with reflective graphics and an LED light bar. This high-visibility approach has proven an effective tool in deterring crime and providing peace of mind to clients. Signal 88 offers 120-, 60-, and even 30-minute guaranteed alarm response times to meet each client’s unique security needs. In most cases, this response time outpaces that of local law enforcement, for whom a break-in call can be a low priority. Our officer arrives to check out the alarm within an hour of the alert. Once on site, the officer scouts on foot for signs of intrusion or property damage. In the event of a real breach or crime in progress, the patrol would immediately contact local law enforcement, remaining on the scene until relieved by the police. In this case, the cleaning crew has departed and the facility is safe, so Signal 88’s officer can simply secure the site with no further action needed. Whether a real emergency or merely a false alarm, a full-scale digital report is filed through Signal 88’s state-of-the-art 88Edge mobile app, which sends searchable reports, incident photos, and GPS tracking data to property managers and owners. This proprietary software allows for real-time verification of services, so you can trust in the security of your facility or residents. Signal 88’s Alarm Response service could be the cost-efficient, comprehensive security solution you’ve been looking for. Learn more about our commercial property security services here.